Reduced the damping some more to cope with the terrain seams. 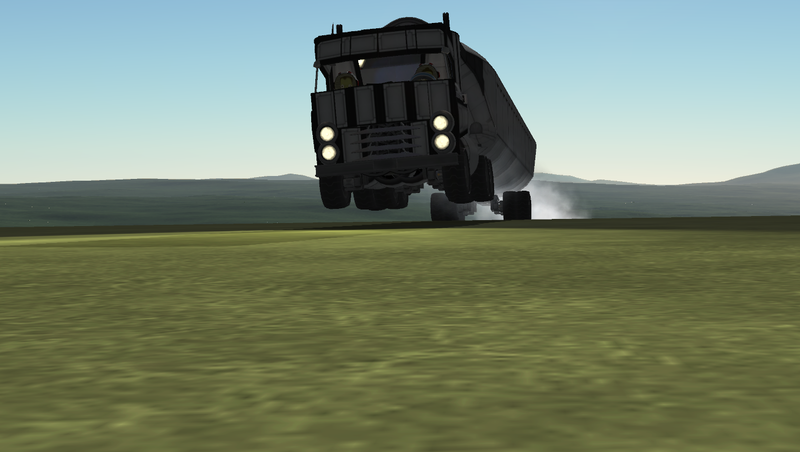 Gave the trailer an RTG and removed the fuel cell & fuel. Increased grip on the trailer wheels a little bit. Built with 148 of the finest parts, its root part is trussPiece3x.